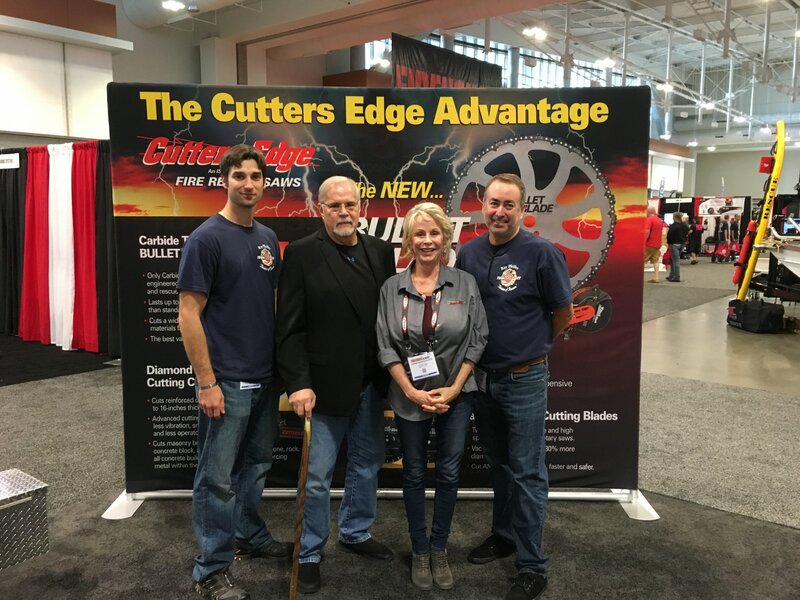 At the Firehouse Expo in Nashville, Craig & Robert learned about the latest fire rescue saws from Thomas & Sue at Cutters Edge. Robert Ostrofsky, Craig Paupst, Robert Menig, John Schroeder and Brian McGuire represented The Ray Pfeifer Foundation at our booth in Nashville. Robert checked out the latest gadgets with Josh Commoss at Streamlight while raising awareness of our mission at the Firehouse Expo in Nashville. 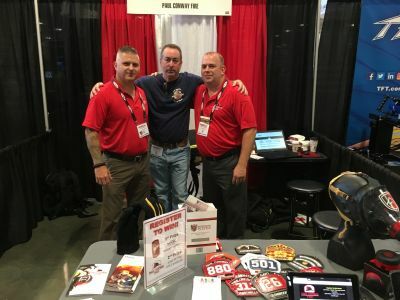 Great connecting with Lt. Ryan Pennington from West Virginia and Pip from 5-5-5 Firefighter Fitness. 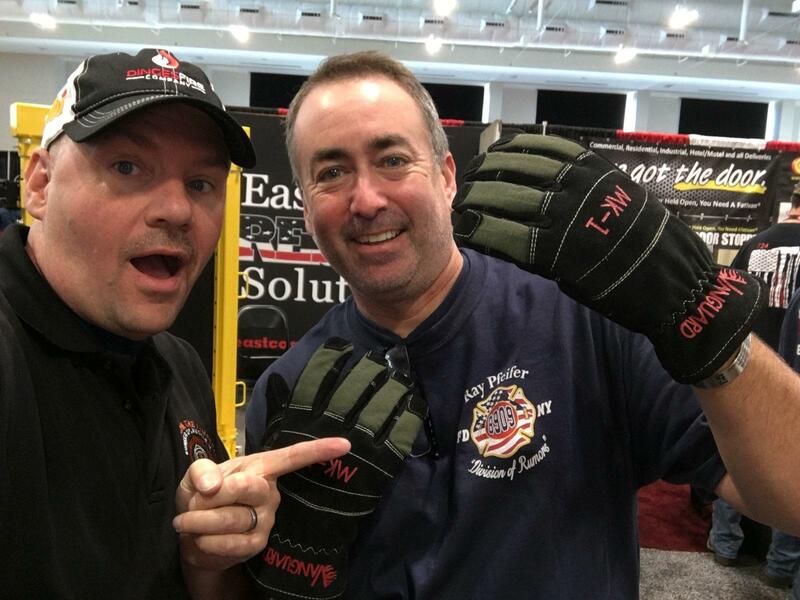 Robert’s sporting some cool structural and extrication gloves with Jumpseat's Ryan Pennington. 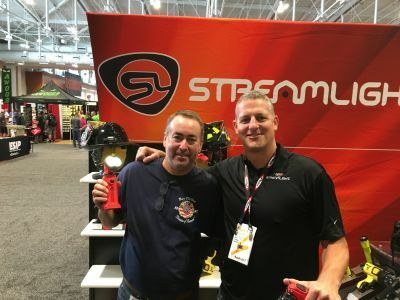 Ryan is a Lieutenant/Paramedic currently serving with the Charleston WV Fire department. 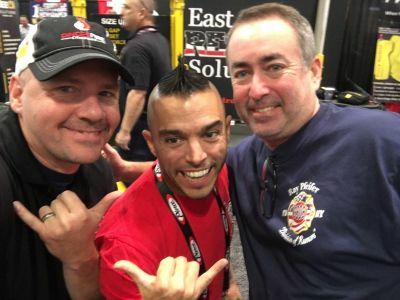 Robert learned about some of the best front pieces from Scott Huff and Steve Florian of Paul Conway Shields. 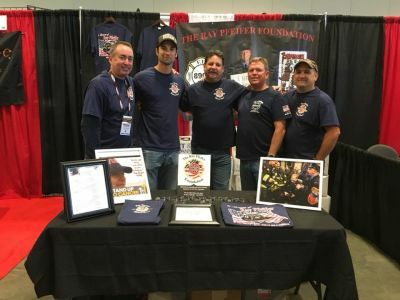 The Ray Pfeifer Foundation is a tax-exempt 501(c)(3) non-profit organization.